Micro-organisms are studied here for their application to bio-based chemistry from renewable sources. Such organisms are driven by their genome expression, with very diverse mechanisms acting at various biological scales, sensitive to external conditions (nutrients, environment). The irruption of novel high-throughput experimental technologies provides complementary omics data and, therefore, a better capability for understanding for the studied biological systems. Innovative analysis methods are required for such highly integrated data. Their handling increasingly require advanced bioinformatics, data science and optimization tools to provide insights into the multi-level regulation mechanisms (Editorial: Multi-omic data integration). The main objective of this subject is to offer an improved understanding of the different regulation levels in the cell (from model organisms to Trichoderma reesei strains). The underlying prediction task requires the normalization and the integration of heterogeneous biological data (genomic, transcriptomic and epigenetic) from different microorganisms. The path chosen is that of graph modelling and network optimization techniques, allowing the combination of different natures of data, with the incorporation of biological a priori (in the line of BRANE Cut and BRANE Clust algorithms). 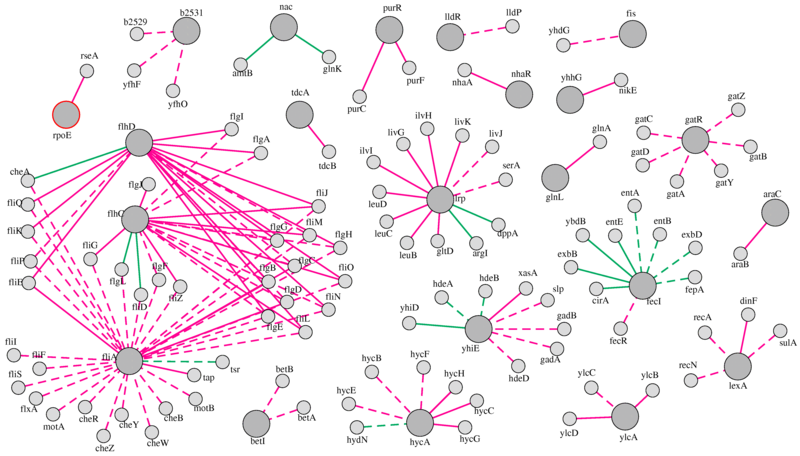 Learning models relating genomic and transcriptomic data to epigenomic traits could be associated to network inference, source separation and clustering techniques to achieve this aim. The methodology would inherit from a wealth of techniques developed over graphs for scattered data, social networks. Attention will also be paid to novel evaluation metrics, as their standardization remains a crucial stake in bioinformatics. Initially, one will focus on the statistical integration (Understanding gene regulatory mechanisms by integrating ChIP-seq and RNA-seq data: statistical solutions to biological problems) of different transcriptomic data for multiple microorganisms strains sharing the same genealogy. Feature learning for multilayer networks(Feature Learning in Multi-Layer Networks (OhmNet)) and the exploration of the resulting higher-order networks (Higher-order organization of complex networks) will evaluated in the context on this study.